She’d been a belle of the Confederacy, without any doubt. She was the child of southern privilege, who continued a life of relative ease even during and after the Civil War. It’s that combination that most likely killed her. And it’s certainly that combination that got her name in the court records of Mississippi. And by 1880 she was dead. The cause of death listed in the federal census mortality schedule was consumption,9 but there’s likely another cause — at least contributing to her death. 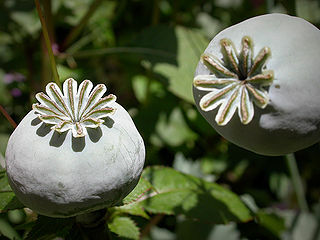 Fannie was addicted to opium. And we know that because, on the 8th of August 1873, three of Fannie’s brothers went to the Chancery Court in Lowndes County and asked a judge to lock her up in a last-ditch attempt to save her life. The brothers were able to ask for the order — and the court to grant it — because the law in Mississippi had just changed. Until April of 1873, the only persons who could be involuntarily confined were those who were insane: the “lunatics, idiots and persons non compos mentis” in the language of the law. But in 1873, the Mississippi Legislature amended the statute and allowed the Chancery Courts to take the same actions for habitual drunkards as for the insane: they could appoint guardians for their persons and property15 — and those powers included locking them up for their own good. Was Fannie really a drunkard, in addition to being an opium addict? The records don’t say more. It’s possible that alleging alcohol, in addition to opium, was simply a means to the end of bringing Fannie under the umbrella of the law — which only reached the drunkard, not the drug addict. Judy, what a great piece! The cemeteries in and around Columbus were a favorite of Eudora Welty. She was a great photographer as well as a great writer. Mississippi is a great place to do research. As a graduate of Mississippi University for Women, and a teacher in the area for some years, I came to love this place. Was Fannie sent to prison or to an asylum? This is a tragic story. My grandmother told me of drugs that doctors prescribed in the 1890’s and early 1900’s. She didn’t like giving them to her children. Although the asylum may have stopped the opium habit, I doubt that being sent to Philadelphia from Mississippi helped her mental state. The point of your post wasn’t to demonstrate Fannie’s sad, seemingly hopeless, life—but to point out that taking the time to investigate court records on everyone we research is an important research step. I have a question, however. The only thing I’d add to that, Rondina, in terms of genealogical best practices is ensuring that the researcher is aware of, and consistently uses, any word-searchable tools that may exist for a particular time and place. An example would be a set of published court opinions that have been digitized by one of the big services like Google Books, HathiTrust or Internet Archive. That may provide a lead back into a specific set of court records. But otherwise the index followed by the page-by-page-in-a-time-window is usually the only way to go. What a story! And so masterfully told, thank you for sharing. Thanks, Laura. There’s just so much in court records if we just look!! Great post, my guess would be that Fannie would have taken the opium because is a cough suppressant. She would have done that to counteract the constant coughing from the TB. Good thought, Claudia. I hadn’t considered the “which-came-first” issue.